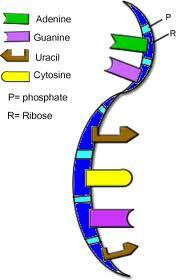 RNA is known as Ribonucleic Acid. It is as similar as DNA but varies in some features only. It has Ribose sugar and the Thymine base of DNA is replaced with Uracil base. From DNA to the ribosome the information is carried by mRNA. Ribosomes play an important role in protein synthesis and translation process. 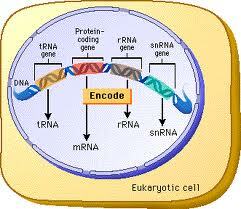 Amino acid sequence of synthesized protein has been determined by the coding sequence of mRNA. In eukaryotes, 97% of the transcriptional units are non-coding proteins. So, many RNAs do not code for protein. Non-coding RNAs are generally noted as ncRNA. The ncRNA can be encoded by own genes. Sometimes it is derive from mRNA introns too. Transfer RNA (tRNA) and ribosomal RNA (rRNA) are the examples for ncRNA. Both these 2 RNA are involved in Translation, gene regulation, RNA processing and many other roles. RNAs involves in cutting and Pasting other RNA molecules. Messenger RNA carries information to the ribosomes. It is mentioned in a coding sequence. 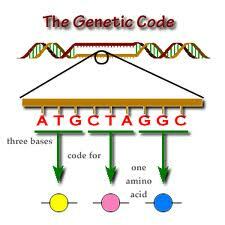 Coding sequence is made up of 3 nucleotides (3 letter code). It is called as codon. Each codon represents to one amino acid. • Once precursor mRNA has been transcribed from DNA, it is processed to mature mRNA . • The non-coding sections of the pre-mRNA have been removed. These non-coding regions are termed as introns. • Then the mRNA reaches the cytoplasm and attached with ribosomes and translated into protein. • This process is done with the help of tRNA. • No nucleus and cytoplasm compartments. • mRNA attached to ribosome while it is being transcribed from DNA. • The message degrades into nucleotides with the help of ribonucleases. Transfer RNA is a small RNA chain with approximately 80 nucleotides that transfers a specific amino acid to a growing polypeptide chain at the ribosomal site of protein synthesis during translation. It has anticodon region in which the codons will be attached and make a bond. Ribosomal RNA is the catalytic component of the ribosomes. It has four different rRNA molecules. They are 18S, 5.8S, 28S and 5S rRNA. Nucleolus synthesizes 3 of the molecules. rRNA combines with protein combine and form a nucleoprotein. This nucleoprotein is commonly known as ribosomes. Want to know more about RNA Translation process? Click here to schedule live online session with e Tutor!